The Global Compacts on Migration (GCM) and Refugees (GCR) include policy recommendations that aim to increase opportunities for legal labour migration, improve protections for migrant workers, and provide refugees with ‘complementary pathways’ to enhanced protection via labour mobility. 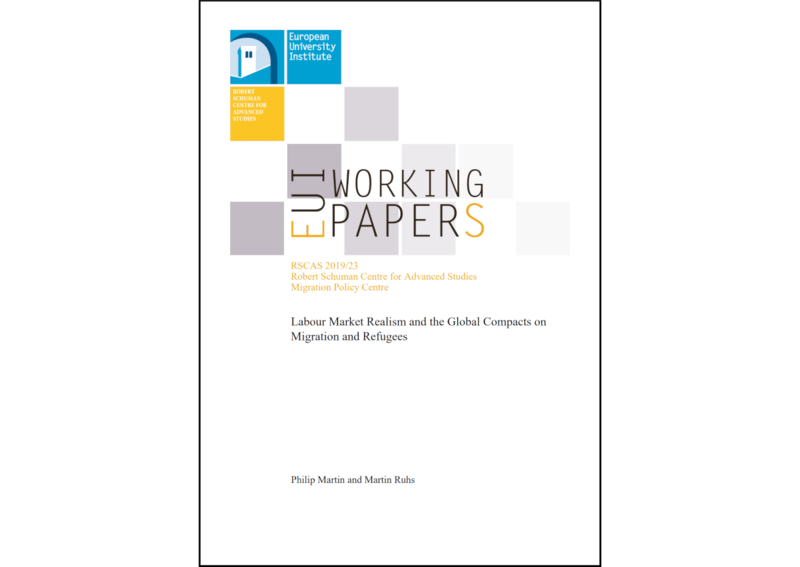 This RSCAS working paper by Martin Ruhs (Migration Policy Centre) and Philip Martin (UC Davis) explains why there are large gaps between these policy recommendations and the labour market policies and realities in the countries that host most of the world’s migrant workers. These gaps between ideals and realities are likely to limit the effective implementation of the GCM/GCR recommendations on labour migration. More ‘labour market realism’ is needed to incrementally but effectively improve protections for migrant workers.